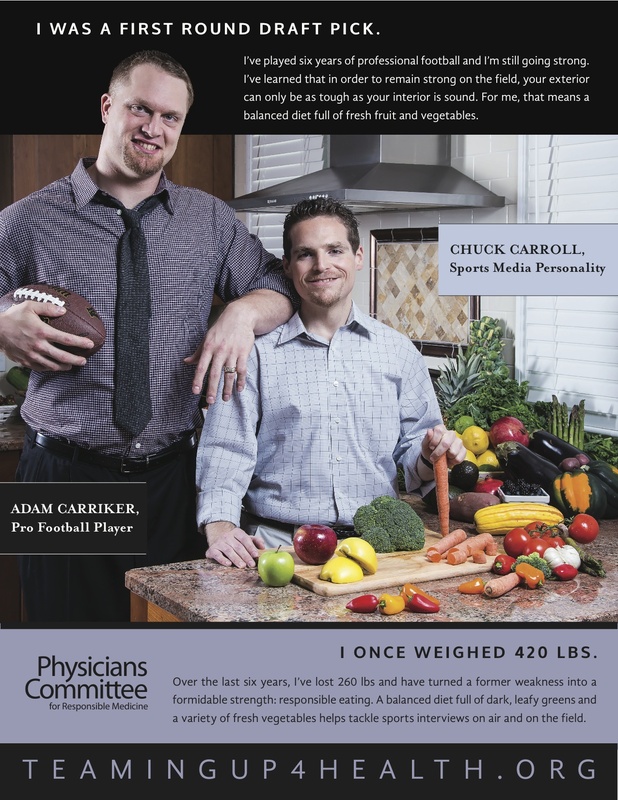 The Physicians Committee for Responsible Medicine and Congressional Vegetarian Staff Association have recruited a number of professional athletes to discuss the benefits of adhering to a plant-based lifestyle at an April 1 luncheon. But the diet-conscious crusaders really want first lady and “Let’s Move!” founder Michelle Obama to throw her weight behind their mission. “As you know, obesity-related diseases, such as heart disease, cancer, diabetes, and stroke, account for 70 percent of all deaths in the United States. The good news is that if every American adds two servings of fruits and vegetables to his or her diet, his or her risk for all-cause mortality will automatically decrease by 10 percent. If we move toward an entirely plant-based diet, we can cut the risk of heart disease—the biggest killer in America—in half,” PCRM Founder and President Dr. Neal Barnard alerted FLOTUS in a March 24 letter inviting her to the “Teaming Up 4 Health” preview party scheduled to take place April 1 from 1:30-2:30 p.m. in room 201 on the House side of the Capitol Visitor Center. Barnard also invited Education Secretary Arne Duncan and acting Surgeon General Boris Lushniak to the healthy eating event. The luncheon, which will feature complimentary garden vegetable wraps supplied by Whole Foods, gourmet salads (carrot and beet, spring mix medley) and vegan baked goods from Banana Love Mufffins , is open to everyone, though organizers are hoping to cap attendance at 150. Those interested in participating are encouraged to RSVP to: jberger@pcrm.org. As part of the program, Barnard will lead a discussion with U.S. Olympic swimmer Kate Ziegler, triathlete and ultra-marathoner Brendan Brazier, taekwondo world champion Daba Modibo Keita and CBS radio host Chuck Carroll. The group will also preview the “Teaming up 4 Health” campaign scheduled to go live April 8 — a multimedia effort set to include video testimonials, collectible trading cards and quickie recipes. 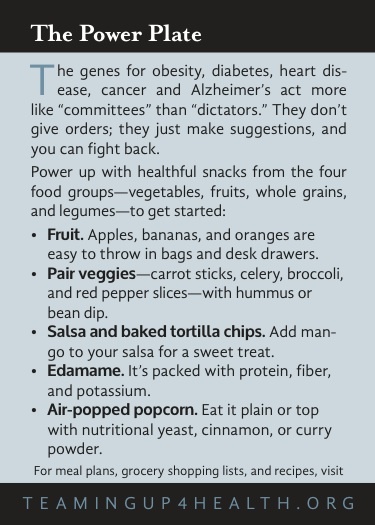 “Whether it’s a long day on the Hill or a marathon cycling session after work, Hill staffers can use plant-based staples to achieve their professional and personal goals,” a PCRM aide said. Some of the “power foods” the group recommends folding into active lifestyles include: sweet potato pudding, lentil burgers, spinach-based “Going Green” smoothie and oatmeal-goji berry balls.